Attractions and family activities at Casino Pier and Breakwater Beach in Seaside, NJ. 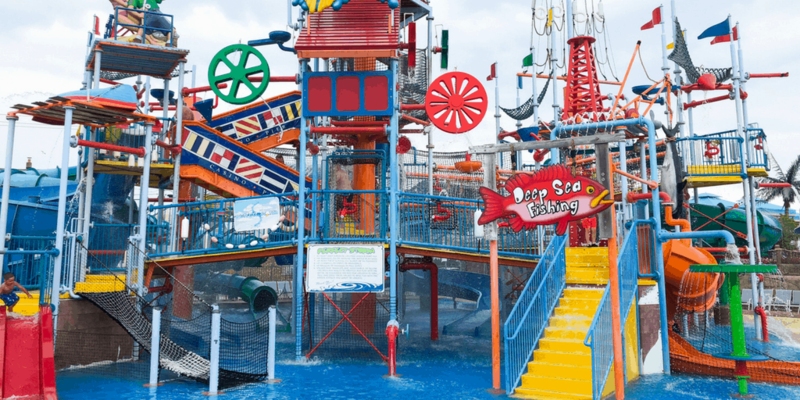 From water slides to rides, see our top 5 must-do’s. *This post is sponsored by Casino Pier and Breakwater Beach. I received vouchers in exchange for this post. All opinions expressed are my own. Summer is synonymous with water and family fun, and Casino Pier and Breakwater Beach in Seaside, NJ makes both of these possible and fun! Casino Pier is full of boardwalk amusements such as rides (we didn’t venture past the kiddie rides but I can’t wait for my kids to be old enough for Hydra), arcade, pizza, ice cream and more. 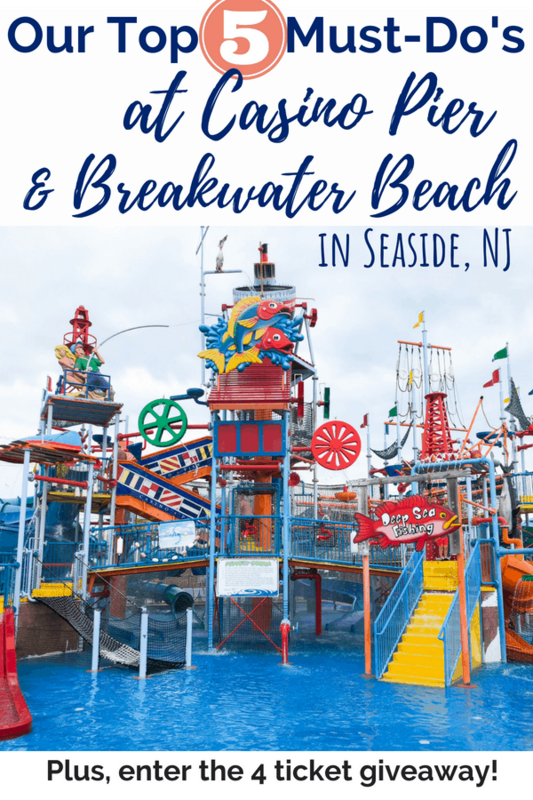 Breakwater Beach is a water park complete with tons of slides, a splash area and even a hot tub. My kids all reach the 42″ minimum for most of the rides so for our family of kids aged 3, 5 and 7, the thrill level was perfect. 1. Hot Tamales roller coaster at Casino Pier. This kid-friendly coaster was a mix of a slow ride with a couple of drops and turns that provided bits of thrill. Bonus, the view of the ocean from this one is great! 2. Two if by Sea in Breakwater Beach is a tower with two inner tube slides where riders can go as a single or a double. The Liberty Launch includes a bullet bowl (otherwise called the toilet bowl by my kids) which offers a fun thrill, and the Freedom Flume is topsy turvy, often sending you backwards down the slide. These are awesome for kids and adults. 3. 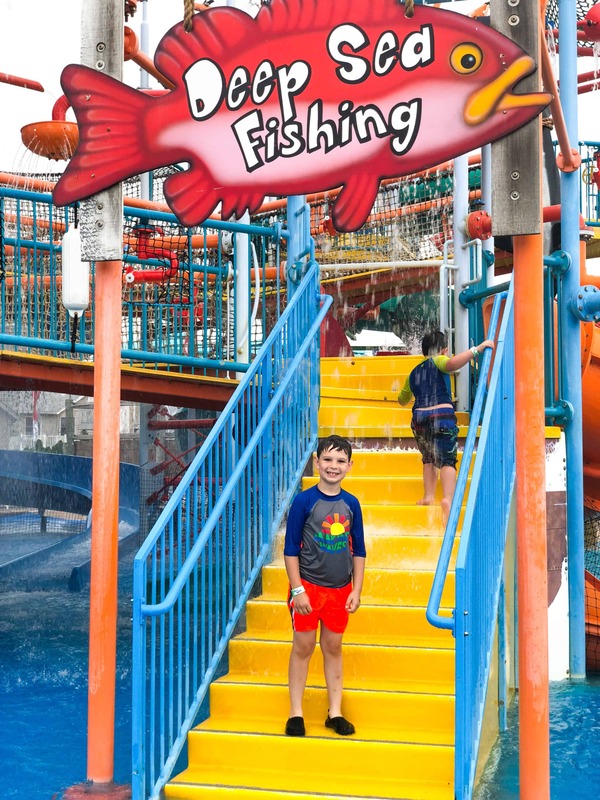 The Perfect Storm at Breakwater Beach is a multi-level splash area with multiple slides and even a smaller play area for little ones. There were plenty of chairs under umbrellas and canopies which made for prime viewing to keep a watchful eye on the kids. 4. The giant pizza from The Pier Grille. Seriously, giant. 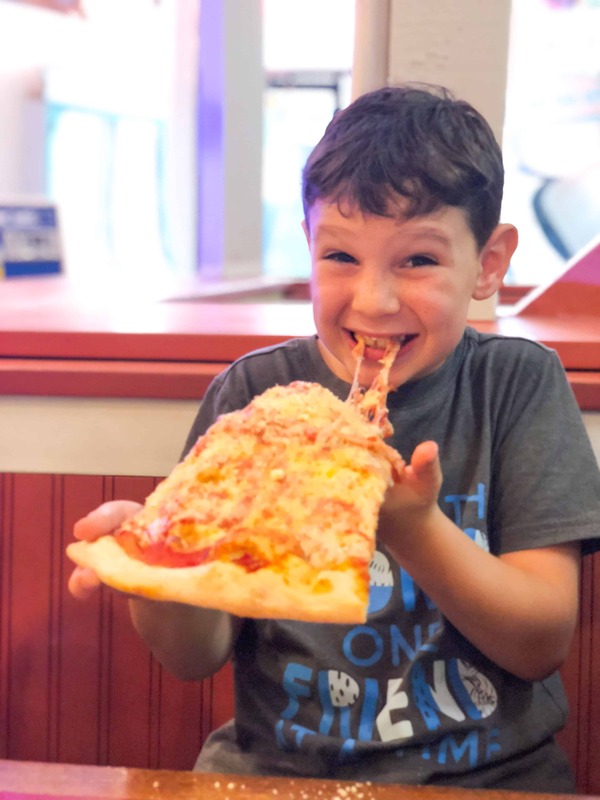 The slices were easily bigger than our faces, but somehow made their way fully into our stomachs. It was delicious. 5. Casino Pier Arcade is FULL of slot machines, skee ball, pin ball, claw games and so much more. My kids are always attracted to, and disappointed by, claw games. It was nice to see a few that were ‘play until you win’. 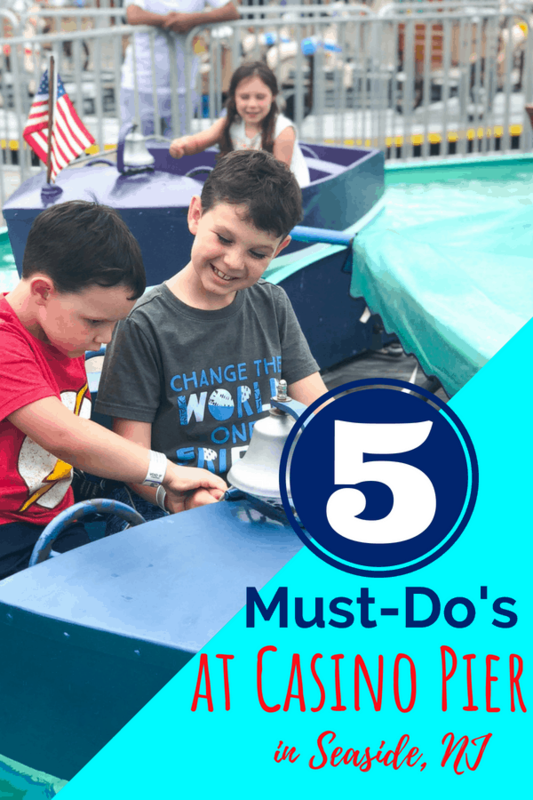 There was much more to Casino Pier and Breakwater Beach than we’ve listed here, but wanted to give you our must-dos in case you want to check them out too! Enter the giveaway below to win a free trip to Casino Pier for your friends or family. 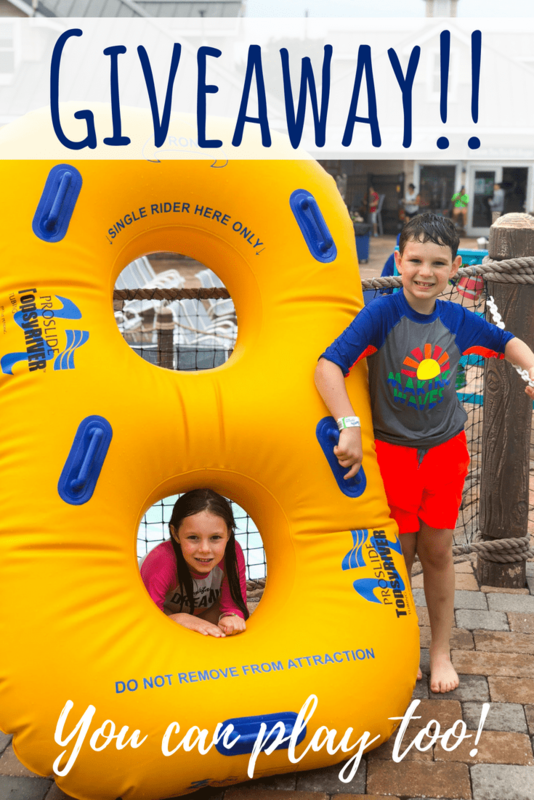 Enter here to win your Splash and Ride 4 pack! 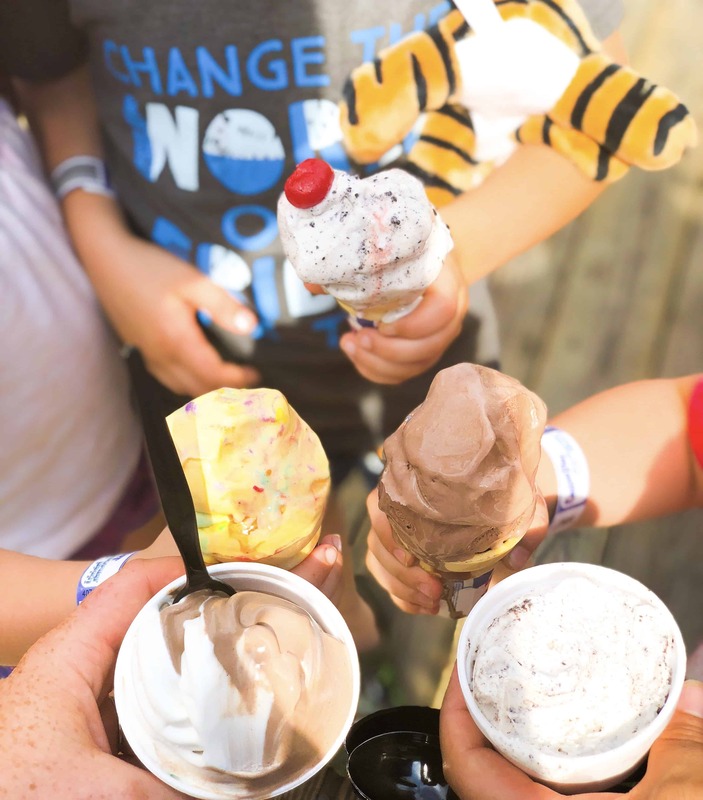 This is admission to Breakwater Beach water park and a ride pass to Casino Pier for 4 (admission for both must be used on the same day). 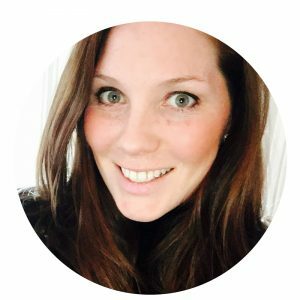 Have so much family fun this summer! Good luck! Join the list here to be notified of future giveaways I have going on in the tri-state area! I would take my wife and sons.